I woke up this morning to a mysterious email in my Yogurt Pedaler inbox. We know your company from the web, do you want to cooperate with our company? We are manufacturer and exporter of milking machine, milk cooling storage tank, mixing tank, sterilization tank etc equipment in China with 8 years experience. We can provide you with good quality and competitive price. If you are interested in our machine, pls send inquiry to us, we will offer you then. Thanks. At least they got the dairy part right! 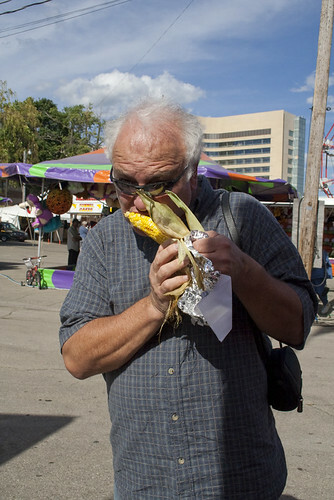 There are plenty of reasons to love Hyde Park, the neighborhood I call home in Chicago. 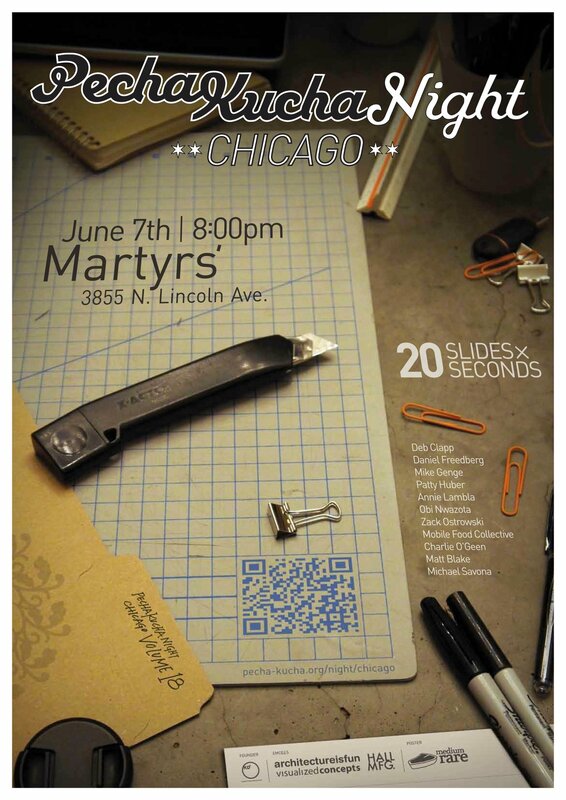 One of those reasons is the Op Shop, a temporary art and community space that occupies vacant storefronts throughout the neighborhood. The first one was in 2008, and Op Shop IV just closed at the end of April. The Op Shop is entirely volunteer-run, and it’s become such a popular place to exchange knowledge, friendships, and passions that there seems to be no shortage of events inspired and hosted by various Hyde Park residents. I’ve been a big fan from the beginning, but Op Shop IV’s theme was “Spotlight on Urban agriCULTURE” so I decided it was high time the Yogurt Pedaler appeared in her home territory to do a yogurt demo. The crowd on April 23 was small but enthusiastic, with lots of questions and great discussion. 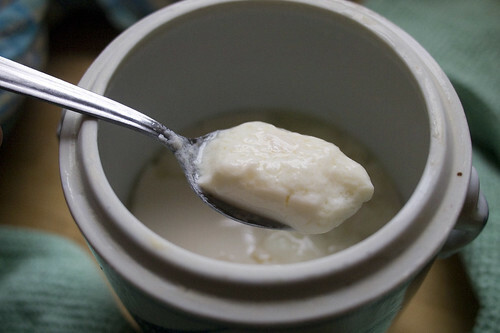 My batch of yogurt that I’d prepared to share had failed, but that actually led to great speculation – with wisdom from the many food experiences in the room – about its causes and solutions. Thanks to Harry Osoff 1537 News for the photos. Three cheers for Athens, Ohio! I spent a short 24 hours at Ohio University on April 12 as one of the many diverse speakers brought to campus in celebration of Earth Month. 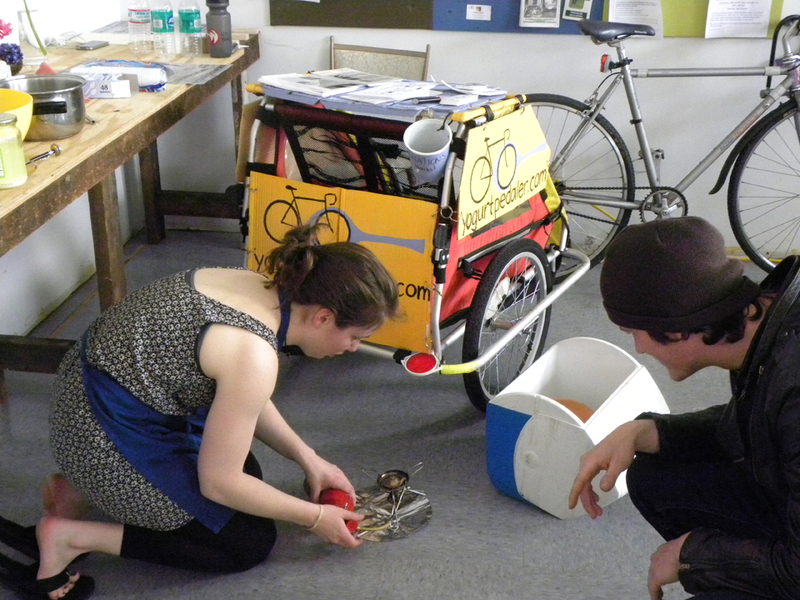 This year their events supported a People (Em)Powered theme, so the Yogurt Pedaler fit right in! I was welcomed to campus by a group of students and staff of the Office of Sustainability, who sponsored and organized the events, and I was immediately impressed by how progressive, adventuresome, and comfortable they and their town of Athens were. 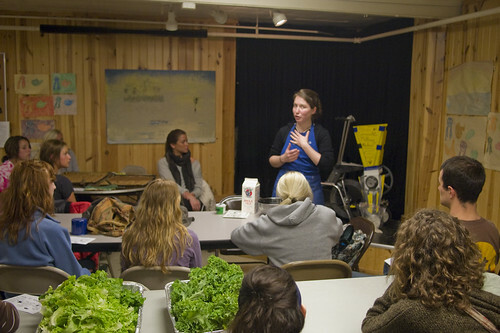 My first stop was to speak to a studio art class, a seminar of graduate students designing and creating an urban garden. 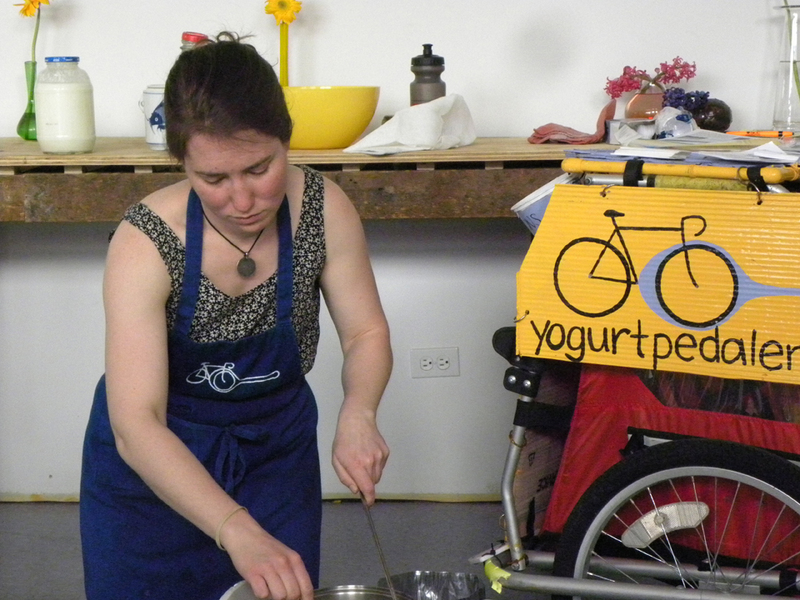 I was asked to speak about my process, and I rooted my talk in discussion of food traditions and the Yogurt Pedaler’s mission to preserve and encourage them in the American Midwest. 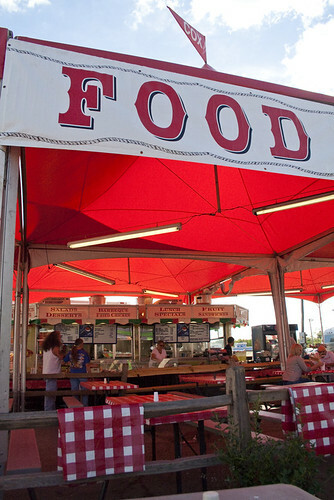 I have a tendency to speak about American food traditions cynically, as if there are none to celebrate and as if I wish we could embrace and create food traditions like my favorites in various European towns I’ve called home. And yet, even in the hour I spent with the class, I enthusiastically recounted tales of watermelon on the beach, deep-rooted North Carolina BBQ loyalties, hotdogs at baseball games, Thanksgiving dinners, and fried oreos, just to name a few. Sure, maybe they’re not all sustainable, healthy, supportive traditions, but there is certainly no lack of American food traditions. Thanks, class, for making me consider the Yogurt Pedaler’s potential as a project to celebrate great American food traditions, those both disappearing and still vibrantly alive, in addition to one fighting a sometimes discouraging battle against industrial, monoculture agricultural trends. We also all agreed that the decidedly haphazard cart design had charm, but also definitely lacked a polished appearance that could make people take the project a bit more seriously. My second appearance at OU was at the Vegan Cooking Workshop, an event I was immediately skeptical of – didn’t they realize that yogurt is made of milk…and milk comes from cows? I was reassured that these were no militant vegans, they just wanted people to be conscious of the food they make and eat. That meant I was definitely on board! 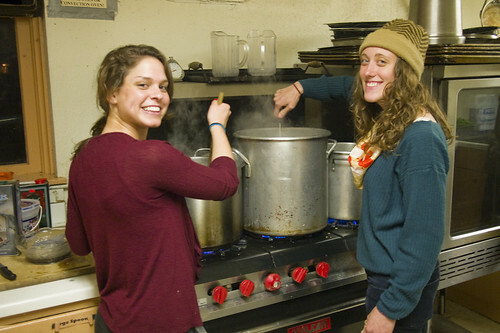 The crew was far from militant – the basement of the United Campus Ministries house was warm and welcoming, with a dozen students and volunteers bustling about fixing dinner. I got to work quickly, chopping carrots and keeping an eye on my huge pot of milk on the stove. As the crowds gathered, I took a moment next to the bike-powered milling machine to speak to a group about the Yogurt Pedaler project and how to make yogurt. 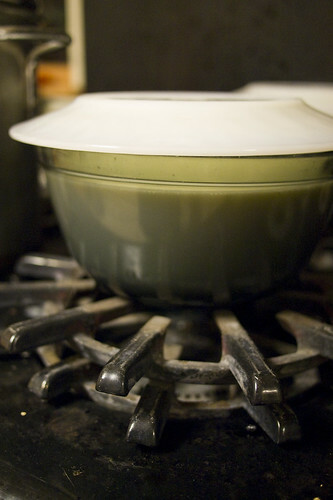 We gathered as dinner finished to inoculate the yogurt with cultures and set them on the stove to incubate overnight. 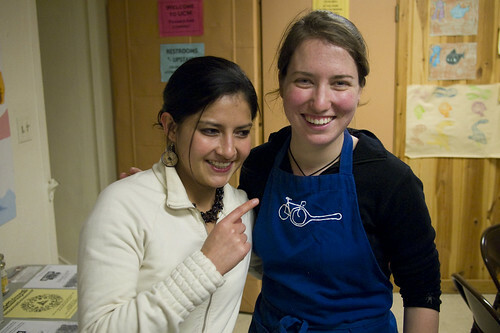 It was an evening of great company, enthusiastic cooks and future yogurt-makers, and delicious food. 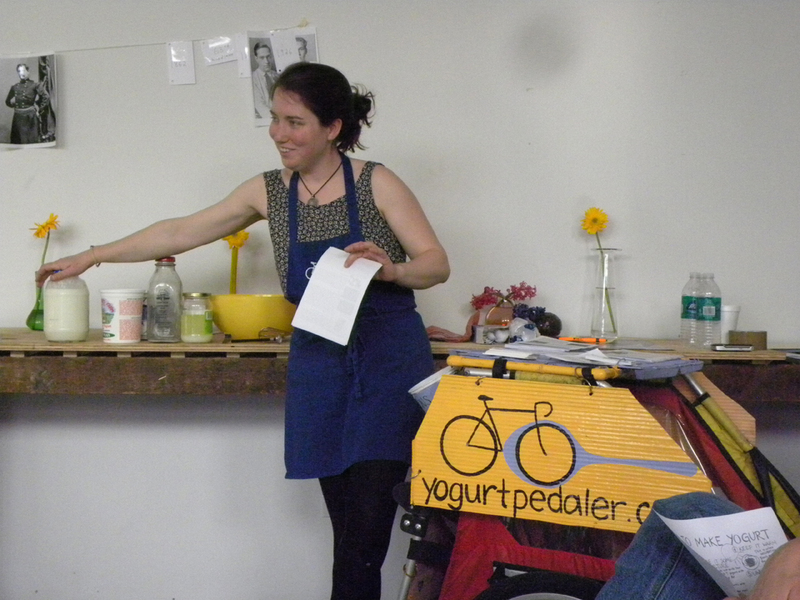 I was invited to speak as the Yogurt Pedaler for Earth Month at Ohio University this month. 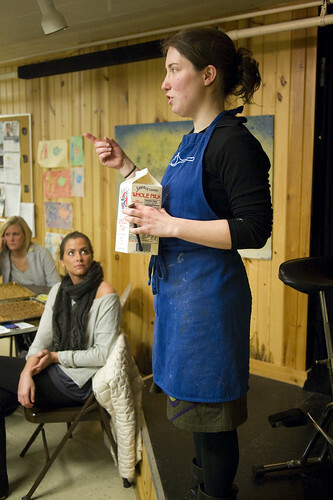 My primary “appearance” was at the Vegan Cooking Workshop. I was immediately suspicious of being invited to make milk products at a vegan event, but I was assured they were enthusiastic about the Yogurt Pedaler trying to get people to care about what they eat, regardless of its origin. I was in! 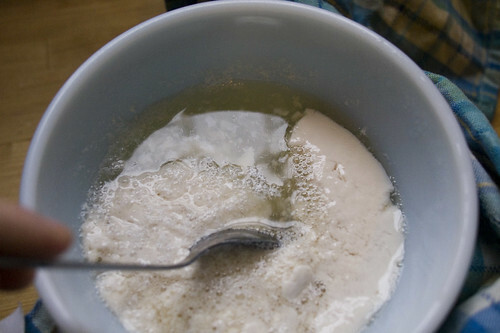 In preparation, I tried to make vegan yogurt. I honestly didn’t do too much research, but what I did suggested it would be pretty easy, following the same method as real dairy yogurt. That was wrong. I’ve learned a bit about the microbiology of incubation in yogurt making over the past year, but I’m still confused about how the yogurt cultures that live on lactose can thrive and work to make yogurt in a non-dairy home that has no lactose. The “live active cultures” advertised in the soy yogurt are the same as the ones found in real dairy yogurt, but I obviously don’t know if their presence is actually the cause of the soy yogurt’s yogurt-like texture. I have my doubts, honestly. I also suspect a large part of the failure of both of these experiments is because the soy milk and almond milk I used are both very, very processed and sweetened. 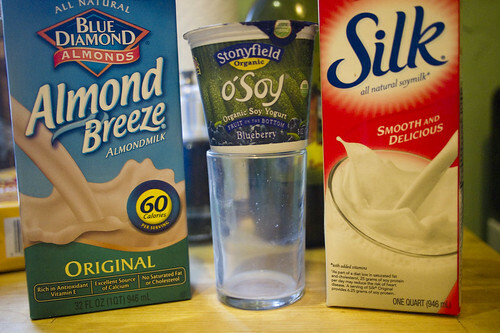 Next time, I am going to try the intriguing process I found in my google adventures of fermenting my soy milk with chili pepper stems, and I am going to try it with unsweetened soy milk. If I get really ambitious, I may try to make soy milk myself from soy beans. But I wouldn’t keep your fingers crossed.